Boasting an exceptional reputation for its coffee and cake, Alma Café prides itself on its boutique recipes and cosy inviting atmosphere, creating a luxurious haven to relax in the heart of bustling Tel Aviv that is truly unlike any other. 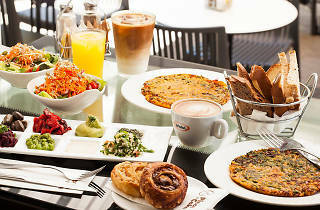 Despite its easygoing impression, the menu is exciting and varied, including delicious vegetable shawarma and hummus omelettes. 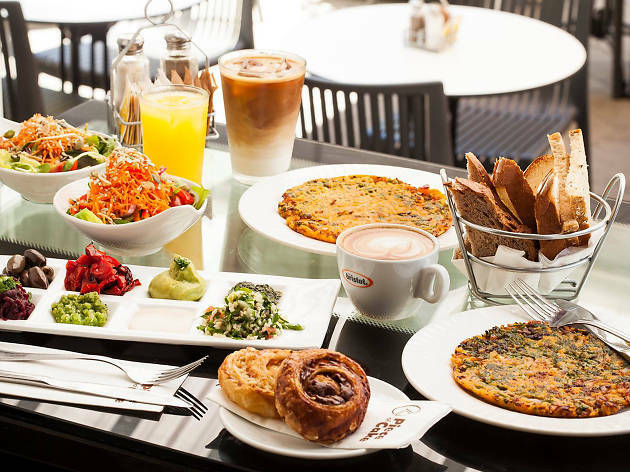 For those in a rush, either for work or with a busy sightseeing schedule ahead, Alma provides a convenient take-away option, meaning you don’t need to sit down to experience the very best of Israeli delicacy. Topped off with excellent service, the reasonably expensive menu is undoubtedly worth the price.